During conversation with the Hon Ronald Eden (son of the late Lady Auckland) I mentioned that a good photograph of Lady Auckland’s great Gordon Setter dog Field Trial Champion Joker of Cromlix had never readily been available and that very few people even knew what the dog looked like, although we all knew well enough of his field achievements together with those of his progeny. Back by return came a glorious half plate of Joker in his prime. After studying the picture I was moved to examine Joker’s antecedents more closely, together with the Cromlix Estate environment leading to his successes and to then explore and tabulate his descendants through to 2001, exactly forty years. The ongoing influence of this dog are nothing if not extraordinarily remarkable. So, the photograph became the basis for a treatise on Joker and his international descendants. I am fortunate that my Assarts & Gawcott dogs are all heavily based around Joker. Of the circa 1150 listed (there are more!) descendants of Joker, there are no less than twenty-four Field Trial Champions, sixty odd Show Champions & Champions, five Australian, three Swiss, four USA, two Netherlands, one Russsian and two Canadian Champions and over a hundred dogs with Field Trial placings. The Hon Ronald Eden was kind enough to write a Foreword to the book which gives an outline of Lord and Lady Auckland and their moor at Cromlix where Trials were regularly held. Detail of early (‘30’s) Field Trial Cards are given, going on to explore pedigrees etc., of contemporary dogs at that time, Riggside, Boyndie, etc…….. there are comprehensive pedigrees of dogs before and post Joker with depiction of the many Field Trial Champions that have followed their forebear with distinction. It is thus possible to see how this dog’s influence repeatedly provided winning prospects. This book (87 pages A4 size) was put together by Denis & Isobelle Montaut through the good offices of Léon’s daughter, Monique Danchin Mazodier. It is a most wonderful cross section of his work, depicting many of his Setter and Pointer paints & prints. He was born 1n 1887. Most Danchin prints are also available. Grateful thanks to Bob Truman for sending us these book details! Revision of Working Gordon Setters: Field Trials & Training. Weardale Publishing,1993. ISBN 197822014. 2nd Edition. 2003. This is not an enormous book – 140 pages in all – but its size belies the amount of information the author has managed to pack in. 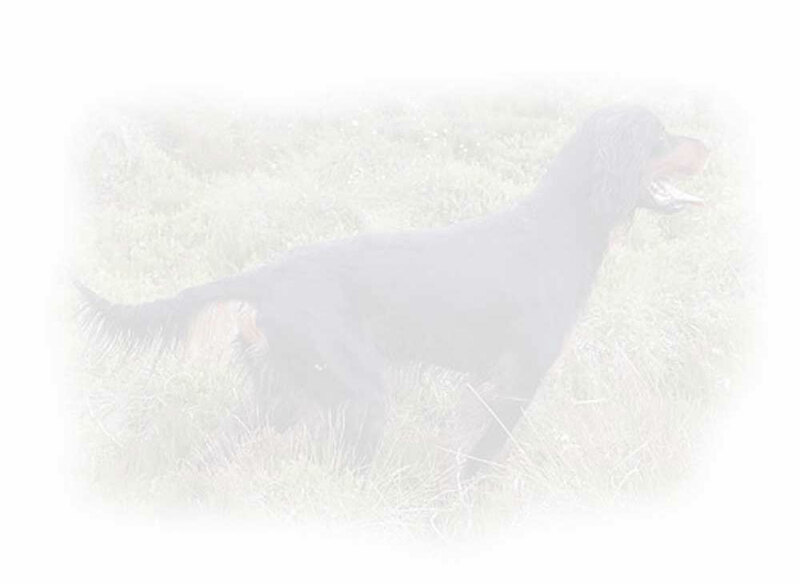 Bob Truman describes it as an ‘update of the working lines of the Gordon Setter breed together with an explanation of Field Trials for the Novice and some of the methods he uses to train to a competitive standard. His credentials speak for themselves in four Field Trial Champions owned, trained and handled . 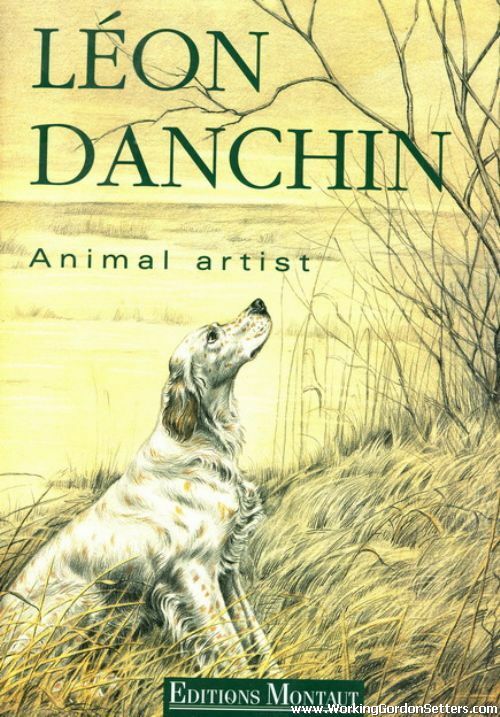 However, even if you never have any intention of running a dog in a Field Trial, but would enjoy knowing why your Gordon does what it does and how to use that knowledge to give you the sort of control which makes a dog a pleasure to live with – then this book is a must. The book is divided into three sections. Section I covers a history of the working Gordon since the 1950’s, describes the main kennels producing working Gordons and looks at Gordons in competition. Section III gets down to training, beginning with buying the puppy and the basics which you can start at seven weeks old. Points made in the text are amply illustrated with photographs and sketches; suggestions are made for dealing with problems and again the author does not shy away from controversy but includes a chapter on the Electric Collar. His ten commandments for early training should be handed out with every puppy sold – common sense but always worth reinforcement. He finishes by following on from Gompertz in listing winning working dogs, detailing their awards in Trials and providing a record of dogs which is unique in any working breed. Any criticisms are minor, one being the size of the print which was presumably dictated in order to include as much as possible, but which makes for a very dense page to read. Mr Truman obviously writes as if he is chatting to you and occasional sentences had me re-reading to check the actual meaning. My only other criticism is that it didn’t appear sooner- having tried to train three Gordons, I would have welcomed this a long time ago! Mrs G.Vick, President, Gordon Setter Club of Scotland. 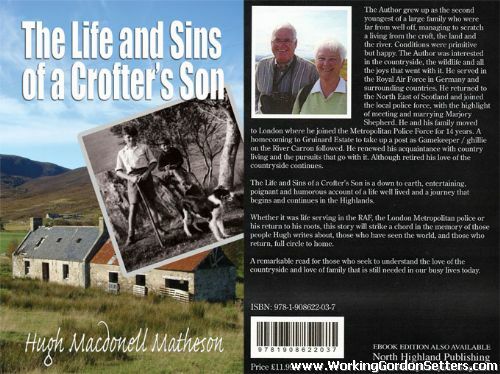 The Author grew up as the second youngest of a large family with parents who were far from well off, managing to scratch a living from the croft, the land and the river. Conditions were primitive and not knowing a better way of life just accepted it but was happy. The opportunity was there to learn but Hugh was more interested in the countryside, the wildlife and all the joys that went with it. Choice of work was limited in such a remote glen and although he had several hair brained ideas of how to move on he ended up in the Royal Air Force in Germany and surrounding countries. On demob he returned to the North East of Scotland and joined the local police force, frequently moving from one village or town to another with the highlight of meeting and marrying Marjory Shepherd from Hill of Minnes, Foveran. Hard times saw him and family move to London to become a member of the Metropolitan Police Force for fourteen years with a homecoming to Gruinard Estate where life began to take up a post as Gamekeeper and Ghillie on the River Carron and to renew his acquaintance with country living and the pursuits that goes with it. Although retired from that now his interest remains and continues with some of it as a hobby.